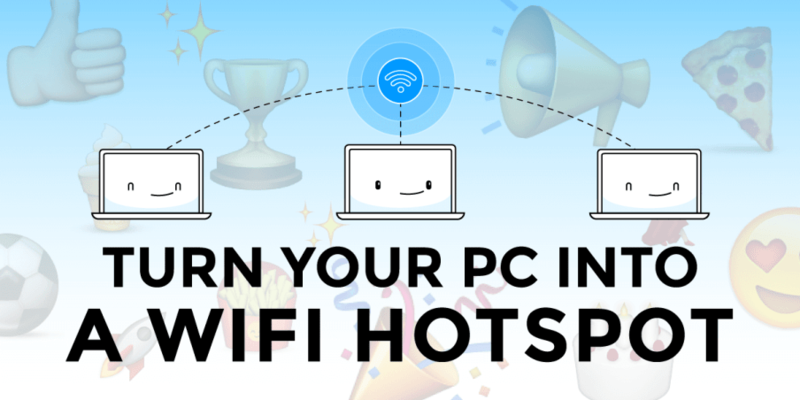 Connectify Hotspot is the only WiFi mobile hotspot program that works trouble-free with all Windows versions. It’s the most popular WiFi sharing program across the world and given that, we’re often getting questions related to using it, including automating the functionality in order to manage it without using the user interface. We’ve got the solution: the Connectify Hotspot command line interface (CLI) is the way to go. As the name suggests, it’s a command line program which allows you to control many of the settings that are normally manipulated through the user interface. Advanced Windows users and developers, but even gamers and other people that use Connectify Hotspot on a regular basis can use this. It’s a very easy way of managing the virtual router functionalities from the command prompt. Plus – if you’re an app developer and want to include WiFi mobile hotspot functionality in your app, it’s very simple to create a script within your app that would call command prompt commands in the background. The more seamless it is to the user, the better the experience is. As any command prompt based app, the Connectify Hotspot CLI requires you to input commands with arguments. The output of the command is formatted as JSON to make processing from other programs easier. The first field, that is guaranteed to exist, is a boolean named “res”. If res is true, then the command ran successfully, and the JSON also contains the results of the command. If “res” is false, then there was an error. In this case, there is an “err” field which contains an object with both an integer errorCode and an a text errorText. Learn more about using the Connectify Hotspot command line interface.